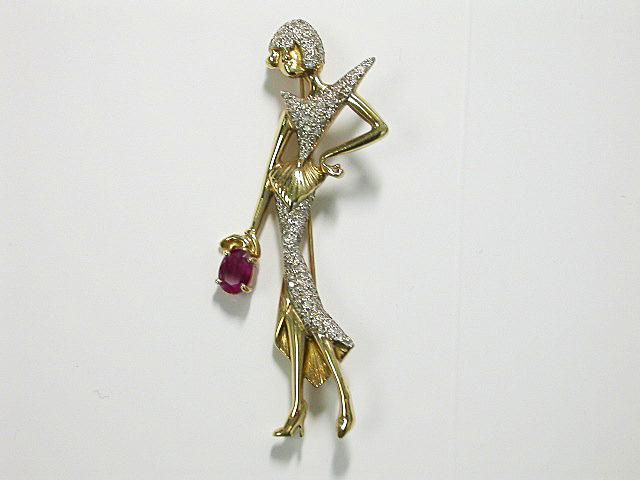 A beautiful Art Deco inspired 18kt yellow and white gold "Flapper" designed brooch with 1 oval facetted cut medium red ruby, est. 1.05ct and 121 round briliant cut diamond, est. 1.04ct (clarity: SI1-I1 & J-K-L colour).